Jorie Graham is the author of twelve collections of poetry, including The Dream of the Unified Field, which won the Pulitzer Prize. She lives in Cambridge, Massachusetts, where she teaches at Harvard University. The recipient of numerous awards, including the Pulitzer, the Forward Prize and the International Nonino Prize, Graham's work is widely translated. 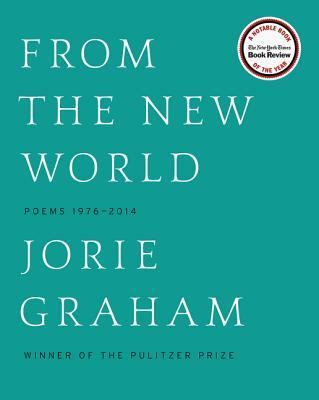 We will always need to read Jorie Graham, and to read her closely, if we want to understand the last 40 years of poetry in America (as well as abroad, where her reputation is only growing)…From the New World is now the place to start. “Legions of poets have been influenced by Pulitzer Prize-winner Graham over the course of her four-decade career... [These poems] display a continued willingness to experiment and push her art in new directions.